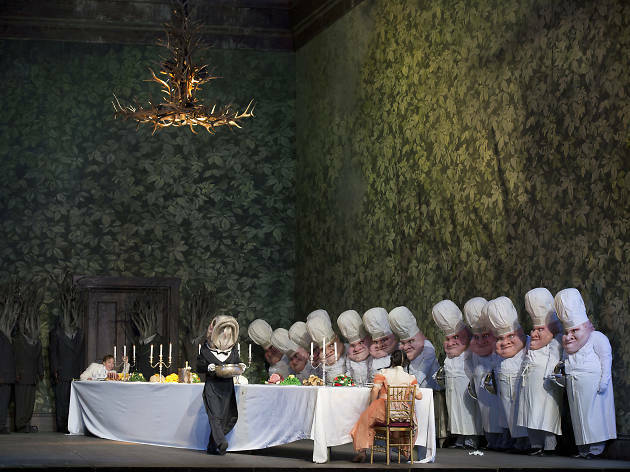 Photo courtesy Cory Weaver/Metropolitan Opera Humperdinck’s "Hansel and Gretel"
The Engelbert Humperdinck rendition of the Brothers Grimm fairy tale returns to the Metropolitan Opera House. Plenty of humour is sprinkled throughout the English-language performance as Hansel (played by Tara Erraught and Ingeborg Gillebo) and Gretel (played by Lisette Oropesa and Maureen McKay) find themselves at the mercy of a witch with every intention of turning the siblings into gingerbread. 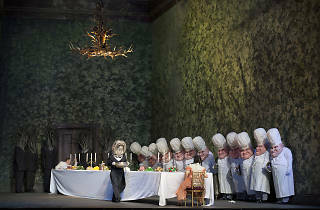 The legendary mezzo-soprano Dolora Zajick plays the siblings' mother. Come to the matinee performance on December 28 for a pre-curtain open house where you the talented designers, musicians, singers and technicians will be talking about the process of building the show. Ages 8 and up.